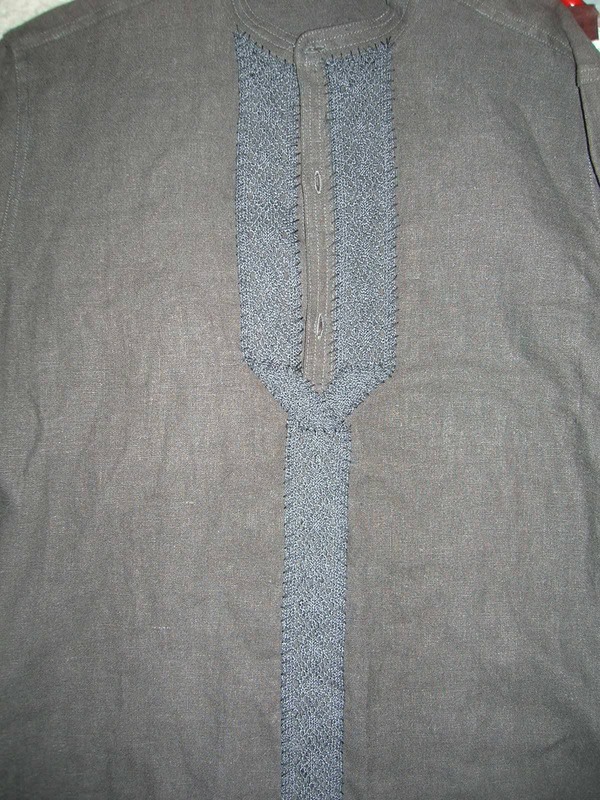 A few weeks ago I bought a coarse weave shirt on a festival market with the intention of turning it into a tunic. The rail was labled hemp shirts so I didn't look too closely but when I got it home I noticed that on the label it says 100% Ramie. A quick Google search revealed that its made from a kind of Chinese stinging nettle. I just wondered if any of you guys have ever used the fabric, and if you have, what you think about it's performance? Re: A strange fabric... Ramie? I've seen it before, but never considered it since I assumed it was a synthetic. I looked it up and it's properties and lineage are impressive. It appears to be less durable (? stronger fiber, but doesn't take well to folding) than linen or cotton. It has anti-microbial properties which suggest it might be very good for storage. As for it's reenactment value... It's use in China seems to go back thousands of years, but looks like it was practically unknown in the west before the 19th c. I will let you decide how that fits in your vision of Middle Earth, which definitely has new world plants so why not ones from lands East of Khand? Nope. My friends in Regia Anglorum, think that fabric made from nettle fiber was commonly used. caedmon wrote: I've seen it before, but never considered it since I assumed it was a synthetic. Great thoughts, I wonder what style something from lands east of Khand would be, maybe some bright color embroidery? Kortoso wrote: Nope. My friends in Regia Anglorum, think that fabric made from nettle fiber was commonly used. Nice article! I'd be interested in seeing their references for the use of nettles other than hemp - always interested in learning about different historic fibers! My short poke-around on Google turned up evidence for the use of nettle cloth in Bronze Age Denmark (Hey, Udwin, new project for you? ), as well as a blog post that included references for nettle cloth in 15th century Italy and early 19th century Scotland. Those would be cloths made from European nettles, though, not the Asia-native nettles used for ramie. Like Jack said, though, definitely a lot of room for personal interpretation of plant (and therefore plant-derived fiber) availability in M-E, what with pipeweed and potatoes! Interesting - I wonder how similar eastern nettle fabric is to what was used here? I would imagine at least the plain rustic weaves would be quite alike. Udwin's done a strap or two of nettle as I recall, and I've attempted it. Udwin also made a very good case for it being a good choice for our use in Eriador: nettle can be gleaned from the wilds without using up valuable cleared land. I've been meaning to add more of it to my own ensemble. So thank you for the reference! Elleth wrote: Interesting - I wonder how similar eastern nettle fabric is to what was used here? I would imagine at least the plain rustic weaves would be quite alike. Of course this is a wide forum, with level of authenticity being left to the individual ranger, I realize that I am using an unfair metric for Ramie, assuming a few missing criteria. The Ramie vs. Nettle fabric issue boils down to one of this forum's central issues. When a material is not readily available due to scarcity/protected status, cost, or lack of ready manufacture what and when is it appropriate to substitute? I bring this up because in most cases, we have no problem, nor do we even question these substitions. Due to scarcity/protected status wrought iron, is highly prized but rare. Most of us don't bat an eye at the high carbon in our swords, knives, and fire strikers. Save to muse that the metalurgy is far greater than that available just a few centuries ago. Likewise English/European Yew was Nearly decimated by avid bowyers in the middle ages and is protected. We are happy to work with Pacific Yew, a related species. Due to cost we are pefectly fine with steel, brass, pewter, and garnet for our brooches. And lack of ready manufacture of 100% wool melton doesn't keep us from making cloaks. We substitute readily available 15% nylon 85% wool melton (as do 'serious reennactor supply vendors like Burnley & Trowbridge and Wm. Draper Booth) without a bat of the eye. So assuming thatchinese nettle fabric is reasonably similar to stinging nettle fabric, I see no problem with it as a reasonable accomodation. Well said. The MERS’s stand on fabrics includes and understands the scarcity of some materials...our stance stays on the more authentic end not just for airhenticity’s sake, but for safety’s sake because we expect members will be using their garb in live-fire scenarios, including cold and/or wet weather. Reasonable accommodation is perfectly acceptable...flat-out replacements/look-alikes can be dangerous. Well, I'm going to stick with it, I'd like to make it look as if it came from a laketown market, maybe some trader from a far off land, not quite sure how yet? Its actually darker than that (the flash whited it out) I still need to find some nice buttons, then I'll post some correct light balance pictures. Well that's a clever way of turning off-the-rack into decent tromping garb.